We’ve worked our magic since 2005, high up on the Pennine moorland of Cragg Vale, West Yorkshire. But the Little Valley story actually starts before this - back in 1999, high up in the much larger valley of Kathmandu, Nepal. Great things happen when you mix the right ingredients. Although our beer is made using the finest malts, hops, water, and yeast - it’s our people that’s the most vital ingredient of all. When Wim van der Spek - a qualified master brewer - crossed paths in Nepal with Sue Cooper - a community development practitioner - they discovered that although they were taking different routes, their journeys were very similar. This was a few days before Christmas. Wim had reached the end of a seven month cycling trip from Holland to Kathmandu. Meanwhile, Sue was to soon cycle home to England after working for two years with an NGO. 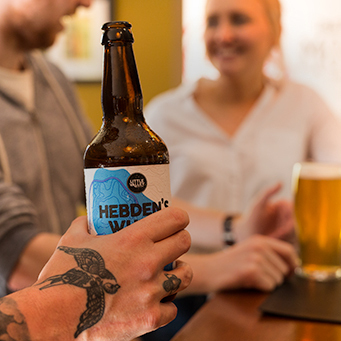 In the new millennium they would follow a path that would lead to the creation of Little Valley Brewery; considering Wim used to run a beer appreciation club back in his school days, you could say this was fate. As cyclists and co-owners, Wim and Sue have never been shy to long journeys. 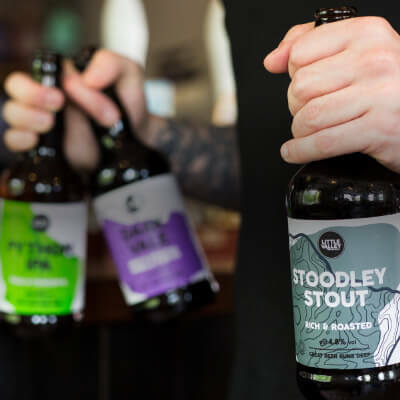 They’ve put in the hard graft to produce a diverse range of beers, with styles to suit everyone. 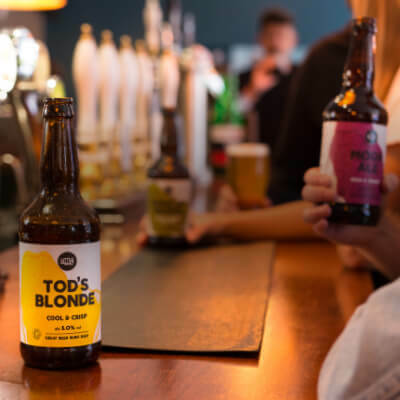 Everything has been tried and tested - and tasted - to produce great beers that are also vegan-friendly and all but a few, certified organic.